Well forget my bambi bucket sling request, that is very cool! Very nice detail on the exterior Firehawk. The interior looks a little bare..? yes thats right,but when used for fire fighting,well the new Cal Fire fire hawks ,should have crew seats as they carry a crew of groundpounders to build line .called a "Helitack " crew.i dont know if LA county or San Diego counties have helitack crews,but cal fire will (or do currently) and the contract for the 11 new ones call for crew capabilities. I have tried to upload a fix here at SOH, but the server says the file is too large (?). So, here is the link for the fix. What if a good gauge developer could make a water control gauge with associated logic. -Make the hose extension and water pumping/dumping separate. -You can't dump water unless you have something in the tank. -Length of dump would be based on water quantity in tank. I know there are fire missions out there but am clueless. Regarding the fire gauge, I (as an happy customer) suggest the FireFighterX addon which meets all the requirements you have given. Certainly the level of realism is high, but I did not see the interaction for where the pilot needs to perform certain action to get water. I did watch the bambi bucket video, but did not see the pilot controlling the drop. I would think the Firehawk and Erickson Aircrane might benefit from such a gauge. You have to fly below a certain radar altitude for long enough to have the tanks filled. The scooping height and duration are both settable. The object release button (Shift D by default) is used to drop the load. For land-based tankers, you have to roll close enough to a filling station, and cut/reduce power to start the refilling process. panel I did for this bird. The two different snorkels for sea skoping and for land refill are operated via the door controls. 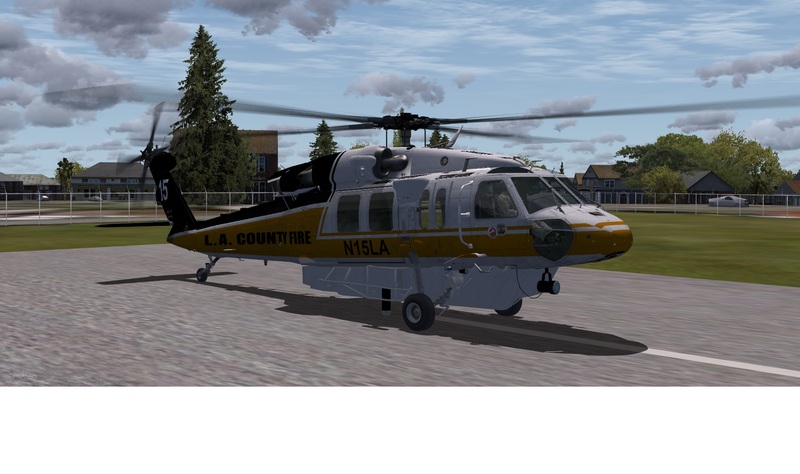 All works ver well in FS2004. 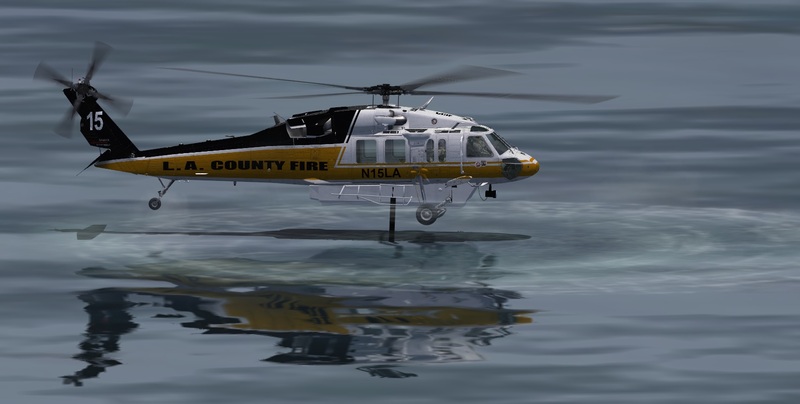 For FSX I do not know as I do not have it nore the cerasim choppers. Thank you. I'd forgotten all about those early birds. EDIT: Does anyone else find it hit or miss if they work..? 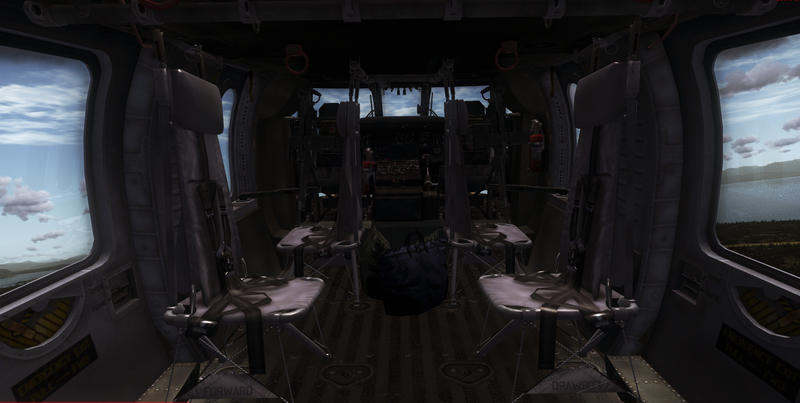 With the Blackhawk, no problems. Last edited by Seahawk72s; June 15th, 2018 at 08:56. I have tried to upload a fix here at SOH, but the server says the file is too large (?). Just happened to be looking over the thread and saw this. I have had the same message on occasions when uploading scenery. The message normally is given when the image you upload for the file is too large. . .so it's not the actual downloadable file, but the image you included. If you reduce the size of that, it would probably accept it. 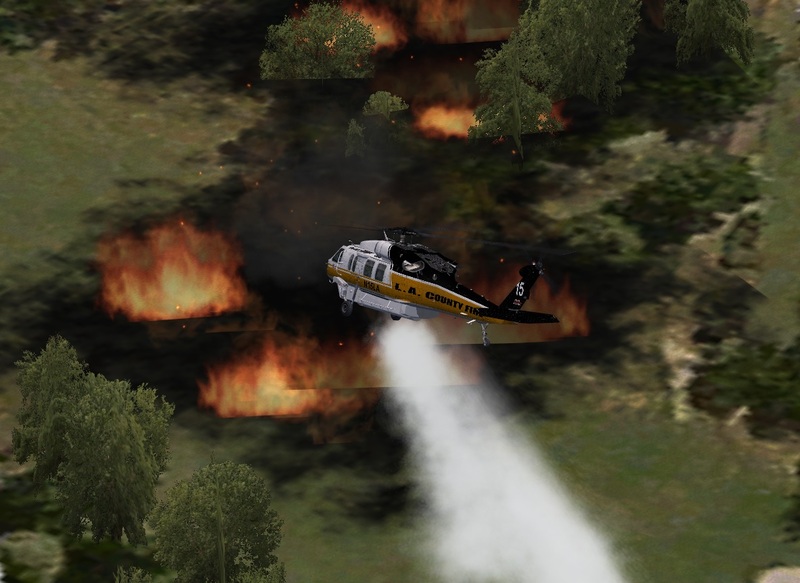 there are a couple new articles on fireavation.com about tanked helicopters,a 2500 gallon internal tank for the CH-47 helicopters,billings helicopter will be using it this season.and an 850-1000 gallon internal tank for the firehawk.this is awesome news for fire fighting aircraft,and more importantly for fire fighters.